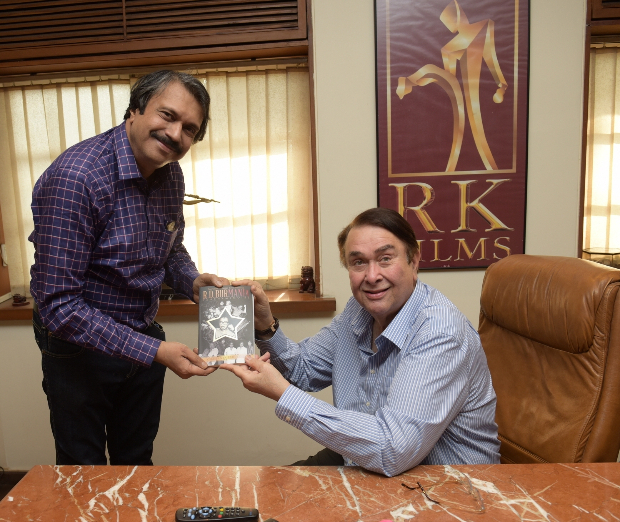 Illustrious actor/filmmaker Randhir Kapoor shared a warm bonding with legendary composer-singer R D Burman (Pancham) whose 80th birth anniversary is being observed this year. Mention RDB’s name and the senior RK’s eyes light up with admiration. 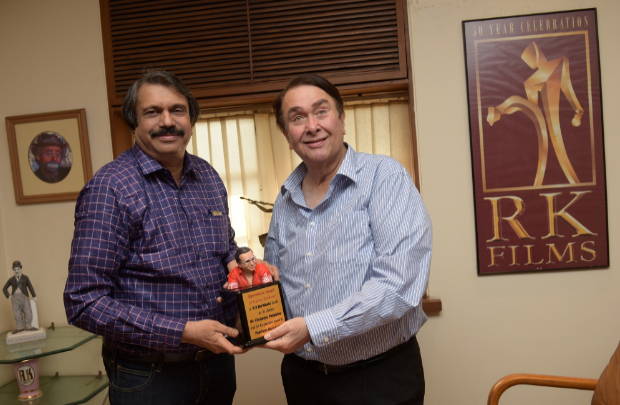 The other day, in the iconic R K Studios, Randhir presented a mini-bust appreciation memento of Pancham Da to eminent senior film journalist/author Chaitanya Padukone, for his memoirs book ‘R D Burmania’. The book has been very well-received by the late composer’s fans. Incidentally, the affable Randhir has given an exclusive, sentimental tribute to Pancham Da in the book R D Burmania. There he reveals the reason why he agreed to accept the posthumous Filmfare Award trophy in 1995 for late composer for his masterpiece Best Music Score for the landmark movie 1942-A Love Story. Check out these pictures from their meeting. “Not only did the experimental genius compose evergreen chartbuster songs for my films, RDB even cooked fabulous food which I would fondly relish during late-nights we spent together. 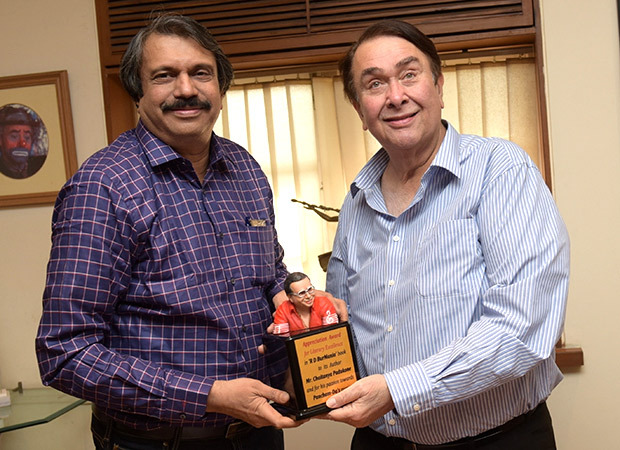 Honestly, his innovative music was ‘instrumental’ in boosting my acting career to a great extent, whether it was for Jawani Diwani or for Rampur Ka Lakshman or my own directorial movie Dharam Karam” recalls Randhir.